Condensation water is created despite and even more through high IP protection degrees. Among others, these provide absolute water tightness to the Enclosure Delvalle. Although they are liquid-tight, they still allow for air interchange -water vapour still can penetrate the housing. In case of fast temperature changes like wave action or if surroundings are quickly changed and cause pressure differences between the casing´s interior and the surroundnigs, e.g. when entering a tunnel, due to low preeure in the housing damp air is absorbed from the outside. The air condenses and resulting water leads to corrosion, short circuits and breakdown. How does water intrude into the enclosure Delvalle? 1. The stainless steel enclosure heats up during operation. 3. The moisture in the air condensates and leads to disruptions, like short-circuits in the enclosure. If the air in the enclosure cools down and there is no pressure equalization, condensation will form, which can no longer escape. With its cable gland Delvalle products, Delvalle has developed a solution, which follows nature by example. With the help of a breathable ePTFE membrane, constant pressure equalization can occur between the interior and exterior of the stainless steel enclosure. The formation of condensation is minimized. 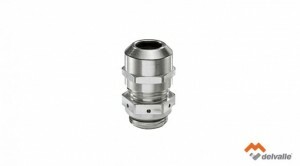 Through the usage of cable glands Delvalle, the interior pressure can adjust to the environmental pressure. The ingress protection class of the enclosure remains completely unchanged. 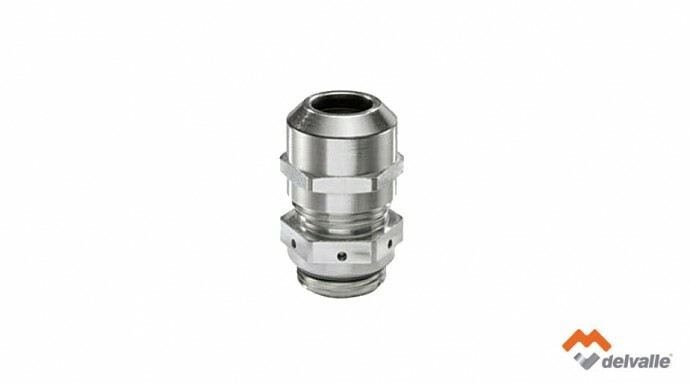 Cable glands Delvalle are unique, through allowing a high air flow rate whilst simultaneously providing a high IP protection. The ePTFE-membrane used is permeable by air on both sides and water tight on one side.